When the male partner has fertility issues that are identified in the analysis or other tests, we combine ICSI with advanced sperm retrieval procedures. Sperm is collected directly from the epididymis (a reservoir of sperm that sits atop each testicle) using a syringe and fine needle. 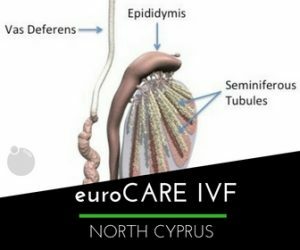 A fine needle is passed directly into the testes to retrieve a small number of the seminiferous tubules. Seminiferous tubules are located within the testes, and are the specific location of meiosis, and the subsequent creation of male gametes, namely spermatozoa. Process of removing a small portion of tissue from the testicle and extracting the few viable sperm cells present in that tissue. Performed on each testicle through a very small incision in the scrotum. The testicles are opened through the incision and examined by a high power microscope to identify the seminiferous tubules that contain sperm. A sample is taken and a suture is used to close up the area (will dissolve leaving little or no scar).